Does anyone think to photograph the lighthouse just off the shore in the ocean from Haystack rock? Excellent black and white shot, just beautifully captured!!!! Great contrast of textures of the rocks and water. Excellent BW. 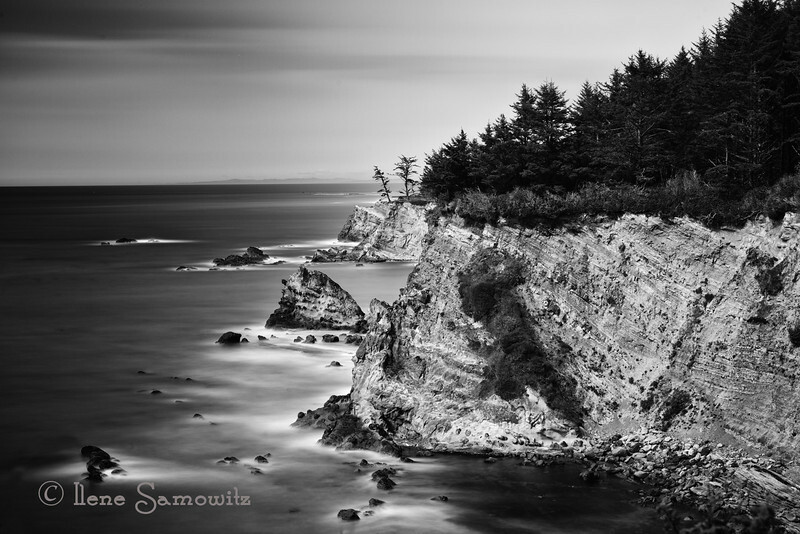 These long exposures with the B/W conversions are very effective! 309 sure flattened the water....real pretty. Beautiful shot and B&W PP!